I have two areas on my aerogarden that did not sprout. I am hoping I can put lettuce in one and tomatoes in the other but I am afraid they won't sprout with the light extended up in the first extension. My mint and thyme although much smaller than the basil is doing well. 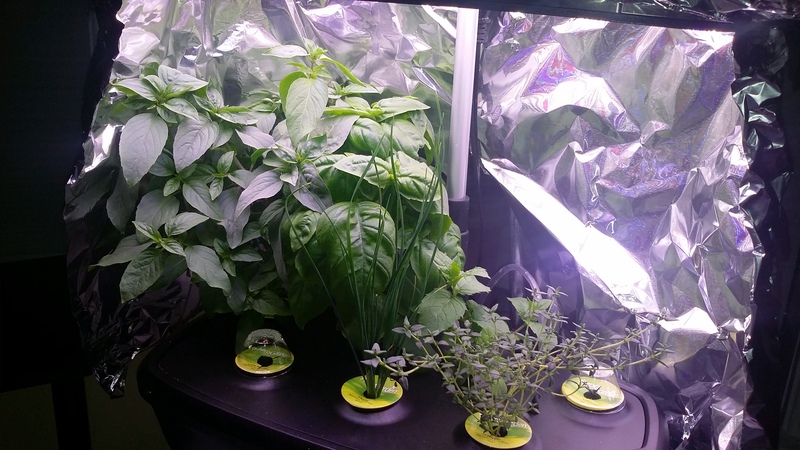 I have pruned the basil multiple times, it grows back fast. Faster than I can eat. My question is do you think the lettuce and tomatoes will take growing beside my herbs? Incompatible lifespan, nutritional needs, light needs... Really need to grow tomatoes alone. Basil and lettuce could work. Basil and lettuce could work. Tomatoes cannot.